I teach reading at the elementary school level and very much enjoy doing so. Working with kindergarten and first-grade students of varying strengths I am always on the lookout for good reads to recommend for at home. 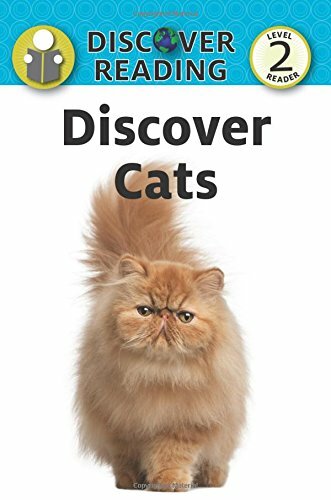 While not without a few flaws, I found Discover Cats to be a good way to check out the imprint, and see if they would be digital reads worth a recommendation. Most of my little readers love non-fiction and learning about animals. 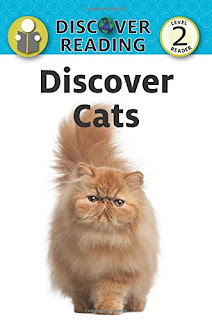 I work with mostly higher level readers so I don't think this Level 2 title would be challenging enough for my particular group but for a strong kindergartner or lower level first-grader I think it would be a good option. I was impressed with the high-quality photos and simple typeface but found a couple of the word choices a bit odd. Potentially too challenging? Maybe, but not to the point I think it's a book to skip.